AM-34: AM-34 was awarded to Pennsylvania-Central Airlines. PCA was founded on November 1, 1936 by the merger of Pennsylvania Air Lines (PAL) and Central Airlines (CA). PCA was based at Allegheny County Airport near Pittsburgh. It was awarded AM-34 and on October 26, 1937 inaugurated flight service between Washington DC and Buffalo NY. Two Boeing 247D aircraft made the round trip on that inaugural service with pilot, JH Neale carrying all the mail from Harrisburg and pilot, RH Taylor carrying all the mail from Williamsport, both on their southbound flights. 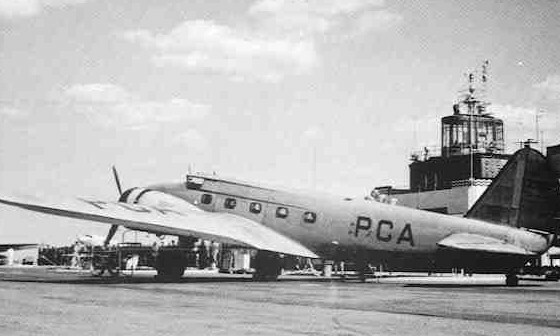 In 1946 PCA became the launch customer for the Douglas DC-4. In 1948 PCA created the "Nighthawk," the first coach class service designed to compete with the railroads between Chicago and New York City. 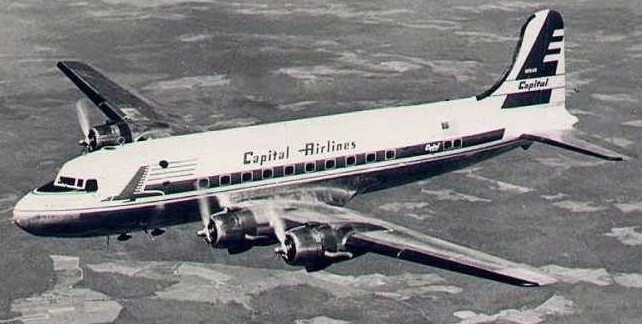 On April 21, 1948 PCA adopted a new insignia, colors, and name and became Capital Airlines.